Published: 2014-05-27, by Ana Gracia. 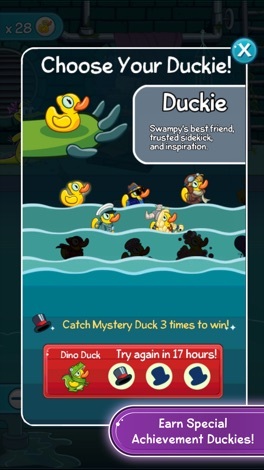 "Once upon a time there was an alligator"
Where's My Water 2 is the sequel of one of the most popular puzzle games for iOS. 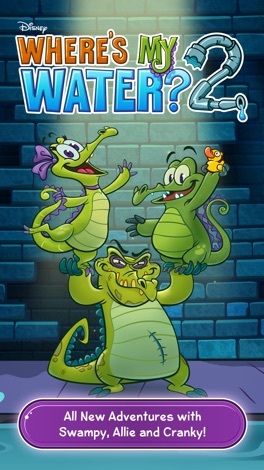 It features Swampy the Alligator, who lives under the city and wants to keep his cleanliness. Unfortunately, other alligators have managed to sabotage his water supply so your goal is to guide the water down to Swampy's shower. To play, you need to drag your finger and draw the line where the water will flow. It's not as easy as it seems as you need to take into account the several obstacles, the water pressure and the filling level. 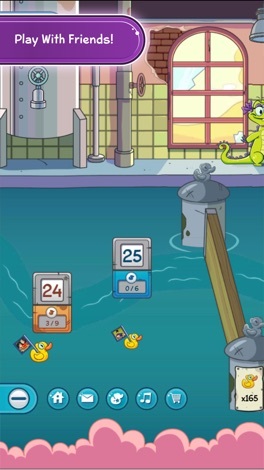 There are over 140 puzzles and in addition, you can collect Swampy’s shower items to unlock bonus levels. The graphics are excellent and so is the gameplay. This game's idea might not be the most original but it's presented in a creative way and its popularity is obviously related to its quality as a game. Entertaining, challenging and fun, yes; but also incredibly addictive and smooth as its best. The one thing we would change is to be able to pinch in and out instead of using the side bar. 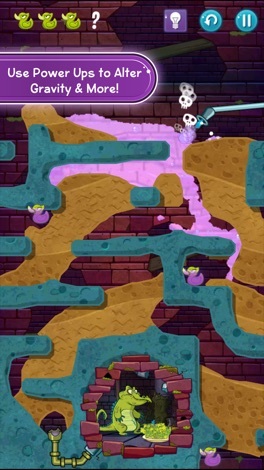 Disney is the developer of Where's my water? and other applications like Puffle Launch, Disney Memories and Pirates of the Caribbean. Where's My Water is probably going to become a classic, don't hesitate and try it out!